We, as a culture, need to be better. Even when someone says words that offend our sensibilities, are antagonistic to correct history and change our perceptions of a beloved figure, we still must understand the totality of the human that is saying those words if that person is potentially suffering from something. Kanye West has been a staple in hip hop, pop radio and popular culture for nearly two decades. His words on wax have inspired a generation to love hip hop in a way it did not before him. When he first came on to the scene, hip hop was going through a dry spell that showed a lack of creativity and individuality in terms of fashion sense, lyrical content and drama and motivation. Rappers were sounding the same, obsessed with the same things( violence, drugs dealing and chicken heads) and the entire music form was losing its edge. 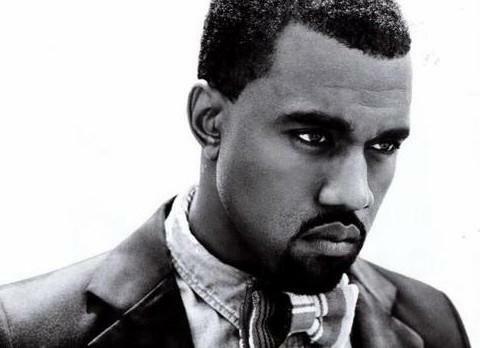 Kanye introduced verbal and syphonic stylings that pulled from genres that inspired hip hop’s golden era of the early 1990’s such as Jazz and the Blues, he made records that could be challenging while not losing mass appeal and he did so while still struggling with defining his place in the American political spectrum. On one hand he is the vigilante who said “George Bush doesn’t care about black people” and on the other hand he is the petulant lyricist who proclaimed to love everybody and anybody on his defiant records, regardless of political position. Yet, recently he has been the focus of derision and controversy for his unabashed and peculiar support of Donald Trump. Unabashedly, he wears Trumps MAGA hat as a gesture of ill will to the Obama administration and its leader who called Mr. West a “jackass” and it is a statement against the perception that blacks not only do but should not vote for the democratic party as a monolith. But his support is not peculiar because he is black and republican, if you watch enough CNN,Fox News and even MSNBC you’ll find some of those, its peculiar because it seems as though Kanye West, the one from the notorious post-katrina fundraiser, would never throw his hat in the ring with this type of person. Whatever your political leanings, even a Trump supporter could see how a man who lived in golden apartments, fraternized with very few African Americans before there was a political calling to do so and who started the Birther movement to prove that the most prominent black figure since Dr. King Jr. was not an American citizen would hardly seem like the person another prominent black figure, with all the responsibilities to the race and culture upon him, would align himself with. But ,Kanye loves Trump and loves the attention his affections have brought him and his iconoclastic messaging. And so many of us are blaming this on his mental illness. Mental illness is never the fault of those who suffer from it and all those who have it do suffer. No matter what they say, their words are always susceptible to the mutative effects of their illness. Mania can turn happiness into obsessive comments, depression can turn disappointment into suicidal ideation, and anxiety can turn sense into nonsense -easily. This is especially true if medication is being ignored. Kanye has announced his battle with Bipolar as a casual voyage through his super power. While being positive about your illness is a good thing, to be laissez faire about it can be fatal. Not just to your reputation but to your lifespan. We are watching someone who people think they should scrutinize as you would a healthy individual with whom you disagree with. Kanye is really a person who may not truly wish to be so cavalier with the opinions in retrospect, at least that’s what the “culture” through social media assumes. But we must be careful not to label his convictions an illness, only his symptoms. Being tangential,repetitive, incoherent and out of touch and flighty are symptoms. But being a conservative who says the bare minimum of what millions of conservatives think and many often speak to power is not a sign of illness. Feeling as though blacks have thrown in with the democratic party and thusly have lost clout and power within their ranks because their vote is a virtual guarantee is a critique, it is not a sickness. Kanye is voicing the standard conservative taglines that many black conservatives like Larry Elder and Candace Owens espouse, and no one points to their mental fitness in jest or with the mocking attitudes of a bigot. I say this as someone who is not a conservative, I say this as someone who does not personally know Kanye nor do I have a stake in his success or failures. I say this because I am a fellow human being who is only concerned with the delivery of his opinions( the rampant tweets, his ramblings at the White House, his accusations of bullying at SNL that have been stated by the cast to be unsubstantiated i.e his paranoia). I want Kanye, not to return to a certain end of the political spectrum, that won’t make me want to stream his music more or less- I want Kanye to have a good doctor he can trust, to be in a therapeutic environment with people who can care about and for him, i want Kanye to realize that his opinions are what he is entitled to but not to lose sight of the fact that he is even more entitled to acceptance and calm. Saying what he is saying, it is obvious that he will say more and since he’s spoken more about taking his meds inconsistently than he has spoken about taking them regularly, and with a Kardashian backdrop of family members that are entangled in the same sycophantic and artificial hollywood nexus that covers up more than it cares, Kanye may start to become even more of a pariah. Mental illness is never the fault of those who suffer from it and all those who have it do suffer. So , I know it is easy and even more entertaining to view him as a car crash and rubber neck him into ignominy and notoriety. I ,too, am guilty of knee jerk reactions to his latest comment about the 13th amendment or proclamation of brotherhood with our current president. But we have to take a breathe, pause, and stop ourselves before we hope for him to just stop. We have to evolve beyond the people who are exacerbating this dilemma for ratings and shares and likes, and remember that Kanye West is just telling us that he doesn’t need to think the way you do,doesn’t need to politic the way black people tend to do; Kanye West is also telling us that mental illness is not the reason for his opinions but it is shaping the conversation surrounding them. But mental illness may be why he feels so alone, it may be why he feels like everyone is out to get him, it may be why he seems to need to be newsworthy every five days, because he can’t help himself. Because Kanye isn’t just speaking his truth, he’s yelling it as if someone out there or in his head is constantly telling him he is false or is less than because of it. The culture is certainly responding, but the voice that Kanye is lashing out at the most may just be his own.